While camping without any source of power was once the norm, improvements in technology has made so much easier to achieve. 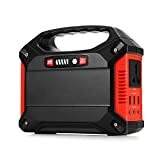 Some find having a source of electricity goes against the point of camping out in the wilderness, but most people see the benefit of having direct access to power. Camping is about relaxing and having a good time after all, so it makes sense to bring along some modern luxuries along for the journey – especially if camping in a caravan. Other than campsites with power grids (which can end up quite costly to rent), there aren’t many ways to camp with access to electricity. Now, many campers are opting to set up their very own power grid using solar panels. 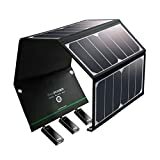 Affordable and surprisingly easy to setup, solar panels are becoming a must-have for campers around the world. Here’s everything you need to know to go camping with your very own solar panels! While prices for each of these will vary, you can expect to get a complete setup for just a few hundred pounds. This will increase a bit should you need more powerful solar panels, but even at that you can expect a great setup to cost around £500. The first thing to consider is what solar panels you need. Some people can get by with a single panel while others will want to invest in several, and there are various sizes and shapes to choose from. For instance, there are the standard rigid panels that most have seen, while foldable and flexi-panels are also available. Consider how you are travelling with them when selectin a style, as foldable might be easier to take out with a tent as they can be packed away at the end of each day, while rigid panels should be fine to attach to a vehicle or camper van. Remember, the weather conditions do impact how much energy a solar panel collects. For example, a nice day in the UK summer could see a 100W panel gather as much as 50 hours of battery life, but this will reduce drastically in the winter. This may not be much of an issue for summer campers, but anyone travelling year-round or during the winter may need more solar panels or panels with higher wattages. Solar panels come in many different wattages, so it’s important to select the right one for your needs. The smallest sizes available are 5W or 10W, which is enough to help provide power to battery that is used sparing. This will likely be too little for most campers however, as the battery is probably going to be used much more. 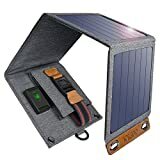 For instance, if you want to have some lighting, play the radio, and do things like charge mobile devices, then you will need solar panels in the 50W to 80W range. This should offer enough power to recharge the battery as its used to power various devices during the day. If you own a larger vehicle or camper that is powering a host of appliances and devices, then panels offering 100W will be necessary. For those with bigger caravans with things like showers, fridges, and lighting rigs, anything between 150W and 200W is highly recommended. After settling on solar panels, it’s time to think about the battery. This is just as important, as you need a deep cycle battery to store all the energy gathered from the solar panels. So, selecting solar panels first is always advised as it makes choosing a suitable battery much easier. You need a battery with enough capacity to store and distribute the power, so keep an eye on Ah capacity when browsing and consider the amount of daily wattage you will use. The more power you expect to consume, the more Ah capacity you will require. There are different types of batteries too, so be sure to take this into account. For instance, gel batteries are costlier compared to AGM batteries, but are better for powering devices that require lower currents, while AMGs are great for devices with higher power consumptions. The final piece of an off-grid solar panel setup is the charge controller, which provides a link between the solar panel and the battery. They work by transferring the voltage from the solar panel, reducing it prior to storing in the battery. This is vitally important to ensure the battery holds excess charge without damaging it, while also helping to avoid power draining when there is lack of sun to generate new power. Essentially, a charge controller allows your battery to perform at maximum efficiency and will make it last longer in general. There are two main options for solar charge controllers – maximum power point tracking (MPPT) and a Pulse Width Modification (PWM). MPPT is the best charge controller in terms of performance, but this also makes it the most expensive. Boasting efficiency levels as high as 90%, they are fantastic for large systems as they can produce 20% more power by altering input voltages. PMW is a three-stage controller featured in most setups, namely due to its more affordable price. It’s also perfect for smaller systems, so should be suitable for the majority of camping setups, even in caravans.